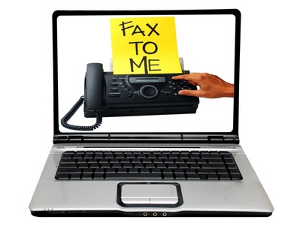 Learn how to sign your online faxes digitally with eFax, an Internet faxing service. Our step by step tutorial will show you just how easy it is to upload your signature and electronically sign faxes. A lesser-known benefit of using online fax is that many services fully support electronic signatures, or e-signatures. It is very easy to convert your signature into a digitized image, able to be placed in any fax document by using an online fax service such as eFax. Here we walk you through the process of signing an online fax with eFax Internet faxing service. An online fax service enables users to send and receive faxes from anywhere with an Internet connection. Users get a fax number that will act as a normal fax number would. Faxes sent to this number usually go directly to a secure online interface since you have to enter your password to access it. The fax number can also be tied to your email enabling you to send and receive faxes as email attachments. An e-signature is essentially a signature that you can place electronically. 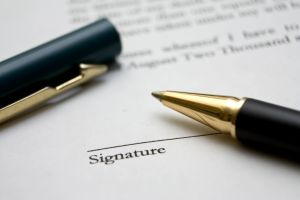 E-signatures are used to authenticate the identity of the signee or confirm the intentions of an individual with regards to a particular document. This is because e-signatures are considered binding just like handwritten signatures. Since an e-signature is more convenient than a handwritten signature its use is attractive for anyone who needs to send time-sensitive documents, businesses focusing on efficiency, and those with matters handled exclusively over the Internet. The real estate industry is well-known for sending many of time-sensitive documents via fax. E-signatures, in conjunction with online faxing, aid realtors and real estate agents greatly in their daily business.